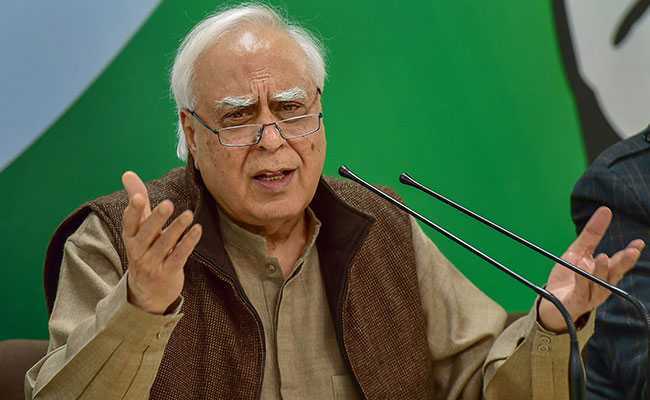 Senior Congress leader Kapil Sibal today accused Prime Minister Narendra Modi of having "diminished" the status of his office with his statements and of speaking only about Pakistan and not India or its people. He also mocked PM Modi by saying that surgical strikes should have been carried out on poverty and unemployment. Mr Sibal added that the kind of dialogue the Prime Minister was indulging in was something he had never witnessed before in his life. "Actually, this Prime Minister only talks about Pakistan; he is not talking about Hindustan. He is the Prime Minister of Hindustan, our prime minister, but it looks like his vision is only directed at Pakistan," he said. "Speak about your people also. Talk about your own people -- what you are doing for them. If he wanted to conduct a surgical strike, he should have carried out a surgical strike on poverty, on unemployment. Those are the surgical strikes that this nation needed...," Mr Sibal added. The Congress leader alleged that the government was ready to spend money on bullet trains but not on the poor and that corruption, unemployment and farm distress are the top three concerns for the people. "When Rs 1.8 crore cash is caught in the northeast from the convoy of a chief minister, that's not corruption. ''Operation Lotus'' is not corruption? And he (Modi) speaks about eliminating corruption," he said. Mr Sibal asked why the Prime Minister had allowed Nirav Modi and Mehul Choksi get away. "Is this the kind of ''chowkidar'' we want in this country?" he said.